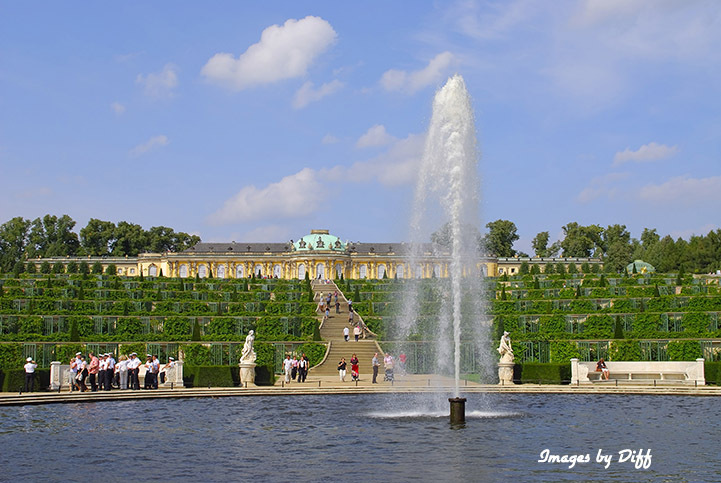 click photo to enlarge Sanssouci Park is a large park in Potsdam containing several palaces with the most famous one being the Sans Souuci Palace. 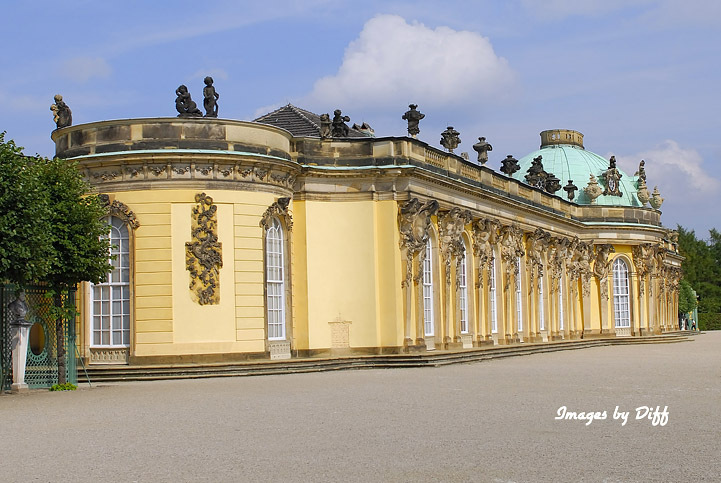 It was the summer palace of the King of Prussia, Fredrick II known as Fredrick the Great. 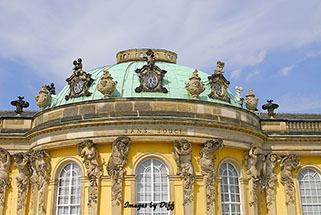 The design of the Sanssouci Palace was based on sketches made by Friedrich the Great himself. 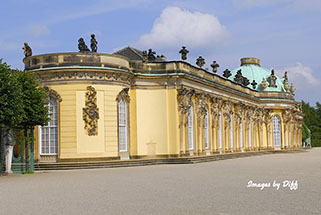 It is a relatively small palace with only 12 rooms and was completed in 1747.
click photo to enlarge It sits atop a hill lined with terraced gardens. The name translates to without care or without worry. 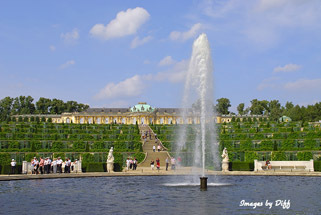 Sanssouci and its extensive gardens became a World Heritage Site in 1990 under the protection of UNESCO. 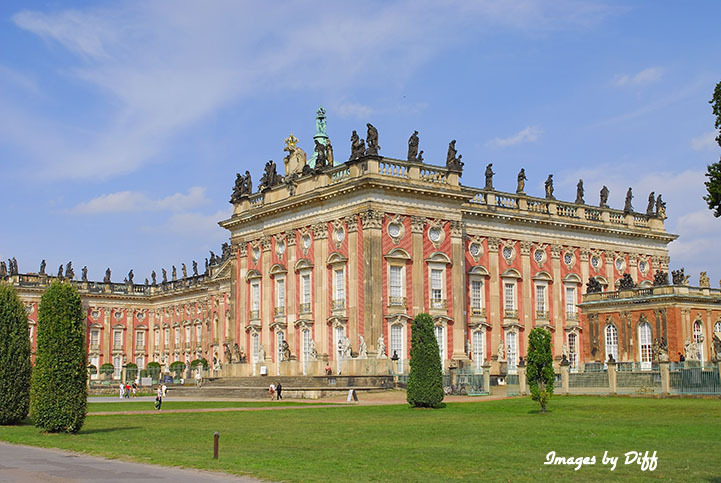 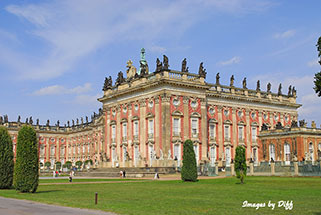 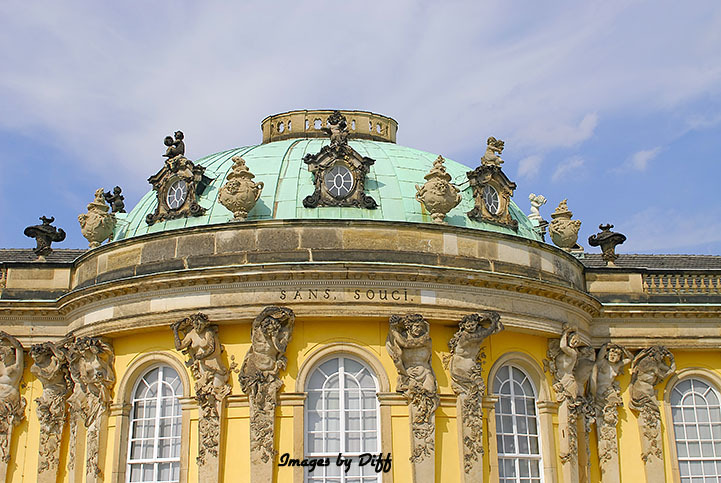 click photo to enlarge The building below, also on the grounds of Sanssouci, is the palace Neues Palais a large Baroque stricture. 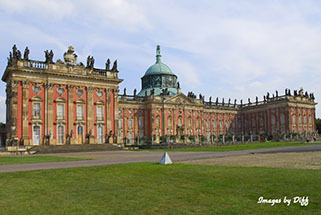 It contains more then 200 rooms and was started in 1763.